KickStarter campaign launched as the developer begins final push. One lucky fan that supports the campaign will have their song included as the intro theme. Old school DJ software eJay is being brought to iOS and Android later this year. The team behind eJay Pure – independent developer Wired Productions and original creators Helmut Schmitz and Bernhard Throll – is hoping to fund it via KickStarter. The original eJay was released in 1996. It allowed PC users to create their own original music tracks from a large selection of samples, beats, riffs, and effects. It was designed to be as simple as possible, and used a drag and drop interface. That enabled budding DJs to focus on the music, rather than wrestle with the complicated systems that were available at that time. The team is hoping that eJay Pure will have the same effect on the DJ scene as the original had, inspiring a new generation to get involved in music creation. "eJay was the first DJ music creation software to break into the mainstream, offering PC owners the chance to produce music tracks which could rival those created in expensive recording studios," said Leo Zullo, managing director, Wired Productions. "There are countless anecdotes of eJay providing the spark to ignite a career in music – many DJs who cut their teeth on the software are still active members of its community. We're thrilled to be engineering the software from the ground up to enable anyone anywhere to compose their own masterpieces." Wired Productions has been working on the title for the last nine months. It says that it has already completed pre-production, prototyping, technology research and development, and has now begun recording new samples. The remaining budget to complete the title is £300,000 according to Wired. It has said it is able to fund half of that. However, it is hoping to raise the other £150,000 through KickStarter. Anyone pledging £1 or more though receive 1,000 royalty free samples, which Wired says will be worth £20 in the final game. They will also be credited in game and on the website, an exclusive badge and the ability to reserve their username on ejay.com. Larger pledges will also see eJay fans be given the opportunity to see your own song included in the final game, be flown to Stuttgart, Germany to see with Marc Gminder for a masterclass in making music. 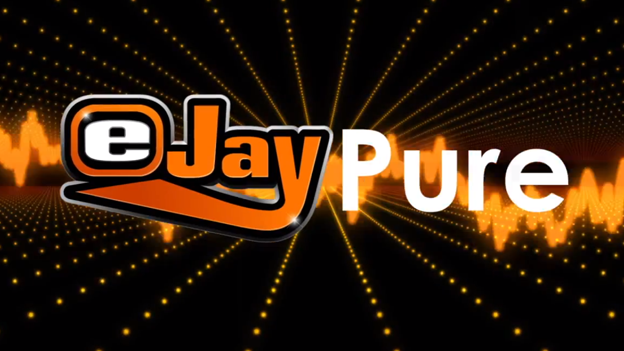 One generous KickStarter will have their own song used for the intro of eJay Pure. That same fan will also get to meet with the creators of eJay. "eJay singlehandedly created a music creation phenomenon," claimed eJay creator Helmut Schmitz. "Its simplicity belied an engine which allowed for incredible flexibility and stunning production values. Some of the tunes which emerged from the eJay series are still played in clubs all over the world. The idea that we'll be able to put this technology into people's hands is tremendously exciting."